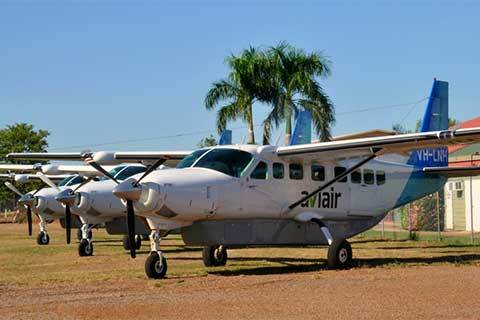 The 2015 tourist season has arrived for Kununurra based scenic tour operator Aviair. On Wednesday 13th May, Aviair accepted 112 customers for travel on board it's award winning scenic air safaris of the East Kimberley region of Western Australia. James Blake, General Manager Commercial for Aviair’s parent company Aviator Group said “accepting such high passenger numbers for travel this early in the season is testimony to the success of Aviair’s rebranding that took place late last year and the significant investment made by the group in modernising the Aviair fleet of fixed wing aircraft resulting in the youngest fleet of aircraft in the East Kimberley by far”. “Aviair delivers to scenic tour customers a level of passenger comfort not seen before in the East Kimberley, by carrying passengers in aircraft that are all air-conditioned, have large windows and high wings for a customer’s ultimate viewing pleasure” James Blake said.